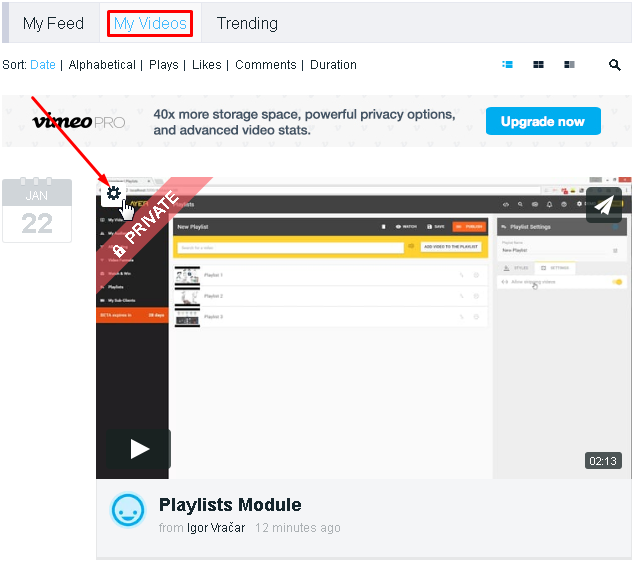 You can migrate your Vimeo video source files over to vooPlayer with just a few clicks. 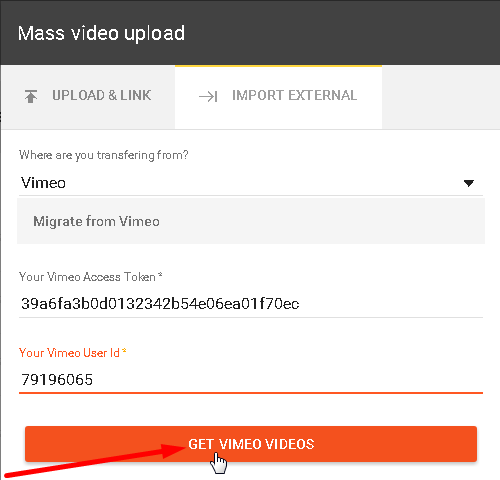 The flow of the migration is mainly impacted by your account on Vimeo. 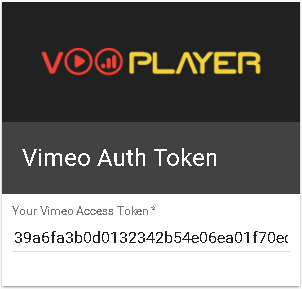 For Vimeo PRO, Business and Premium vooPlayer will be able to access all of your files via the API integration. However for Vimeo Plus users we will only be able to access files which are set as public and can be embedded anywhere. What to do if I am on Vimeo Plus? 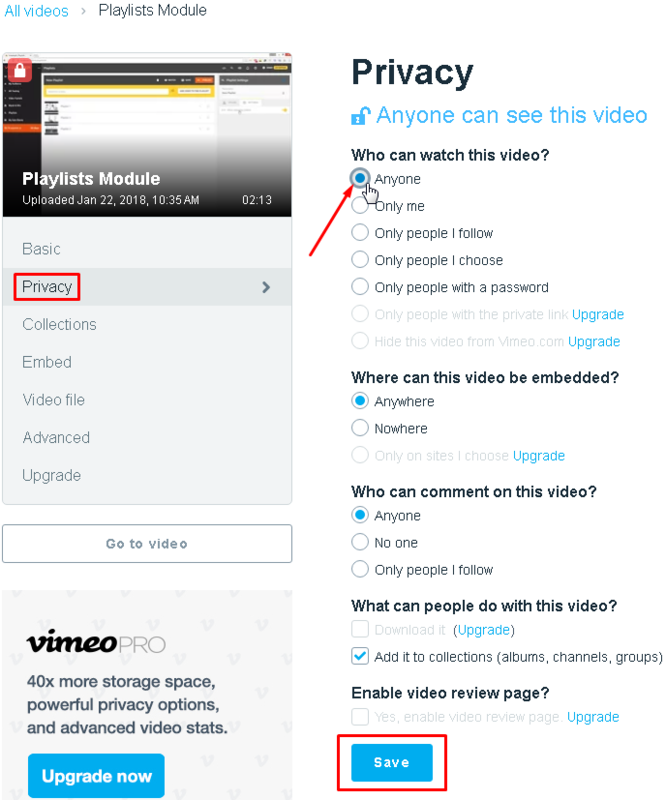 You have to make sure that videos you want to migrate to vooPlayer are are not set to PRIVATE in Vimeo video settings. Log in to your Vimeo account and click on "My Videos". Click on the small wrench to change privacy settings for the desired video. Under "Privacy" tab change settings to "Anyone" and Save. It is also important to set "Where can this video be embedded?" option to anywhere. To do this quickly in a batch process. You may do the following. 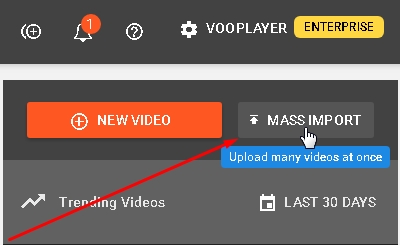 You need to login to your vooPlayer account and click on MASS IMPORT button. 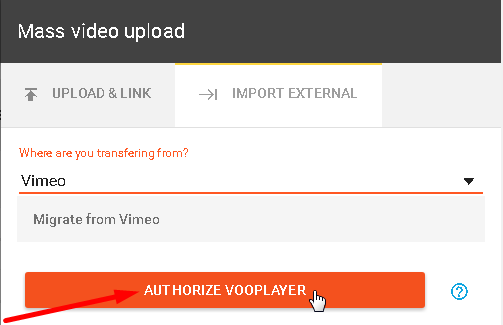 On the IMPORT EXTERNAL tab choose Vimeo and click on the AUTHORIZE VOOPLAYER button. A pop up window will appear and you will be asked to login to your Vimeo account and to Allow authorization . The Last step is to copy and paste this code here, as well as your Vimeo User ID which you can retrieve by following this link. Click GET VIMEO VIDEOS and that will pull a list of the videos which can be accessed. You then may select which ones you want to import into vooPlayer.